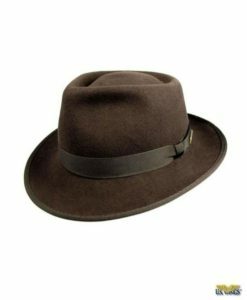 This is the officially licensed Indiana Jones fedora from Dorfman-Pacific and is constructed from fur felt, a high quality hat material known for its strength, smooth touch, and ability to hold its shape (even when wet). This is the officially licensed Indiana Jones fedora from Dorfman-Pacific. 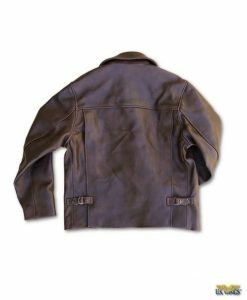 Constructed from fur felt, which is a high quality hat material known for its strength, smooth touch, and ability to hold its shape even when wet. Fur felt will not shrink when exposed to rain, unlike less expensive hat materials, making this the ultimate adventurer’s hat! US Wings is an authorized retailer of the Officially Licensed Indiana Jones Fedoras by Dorfman-Pacific. Beautiful high Quality Indiana Jones Fur Felt Fedora Hat.This Hat is made of 100 % Fine Fur Felt Real Leather sweatband and Great Quality Hat Lining.This Hat will Hold up to just about any Weather Condition and Hold it’s shape Surprisingly Well.This Hat is Very Screen Accurate to the Real one Harrison Ford wore in all the Indiana Jones movies.This is a very iconic Hat and I love it Thanks u.s Wings.I will enjoy wearing this Hat for a long time to come.